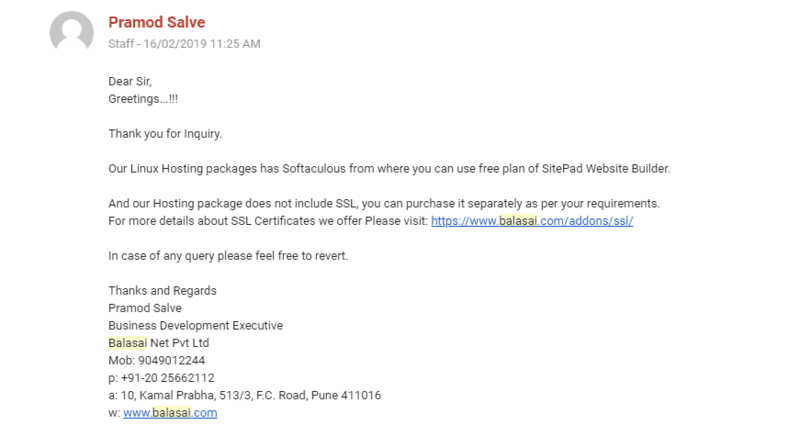 Balasai Review 2019: Is Balasai a Good Hosting? Affordable, comprehensive and feature-rich. That’s the best description of Balasai’s website hosting services. Balasai was established in 1997 by a group of young entrepreneurs as the customer support service for a large Indian ISP. They soon started offering their own web hosting services, which today include shared hosting, dedicated hosting, and numerous cloud services. This Indian hosting provider has data centers in India and the U.S., and its website is in English. A selection of SSL certificates is available from popular providers such as GeoTrust, Symantec SSL, Comodo, and TrustWave SSL. You can manage backups and recoveries by yourself via the Backups and Restore Manager, without having to resort to support. You get free backups to your local computer, and premium backup storage is also available on RAID 5 NAS. Whereas many hosting providers offer dedicated e-commerce packages (even with shared hosting), Balasai’s shared hosting packages aren’t ideal for e-commerce, so online store owners will have to resort to the more expensive dedicated servers. Other interesting add-ons include premium security plans (to provide a secure browsing experience), the SpamExperts service (to filter out spam and malware), and popular office suites (GSuite and Office 365). Since Balasai offers such a wide variety of hosting packages for both Windows and Linux, it’s not easy to distill them down to a single opinion on pricing. While the economy packages are some of the cheapest around, the standard Linux packages – with only 5 GB storage and 75 GB bandwidth at best – are a little limited. For the same price, you can easily find unlimited storage and bandwidth. The same can be said of the Windows packages, for which the unlimited add-on domains are limited by the limited number of databases. So, while the overall package prices are quite reasonable, the resource allocations are limited. You’ll be charged extra for exceeding your allowances such as bandwidth, so you should read the terms and conditions before you sign up. On the plus side, the control panel allows you easily to see the resources you are using. It’s not as efficient as live chat, but it’s good enough for me. And if you prefer to support yourself, you’ll be pleased to find an extensive set of video tutorials and a well-stocked knowledge base in the support portal that also allows you to submit a ticket. A plethora of packages, a variety of add-ons, and affordability make Balasi stand out from the web hosting crowd. But a deeper look into its e-commerce capabilities and limited resources did leave me a little disappointed. Buy some of the best hosting at Balasai! 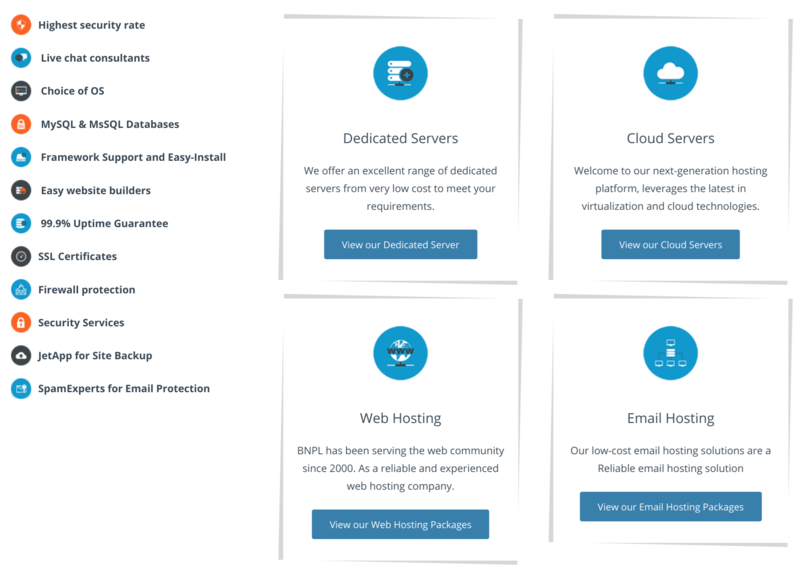 Wondering how Balasai stacks up against other Web Hosting companies? Enter any other Web Hosting company and we will give you a side-by-side comparison.